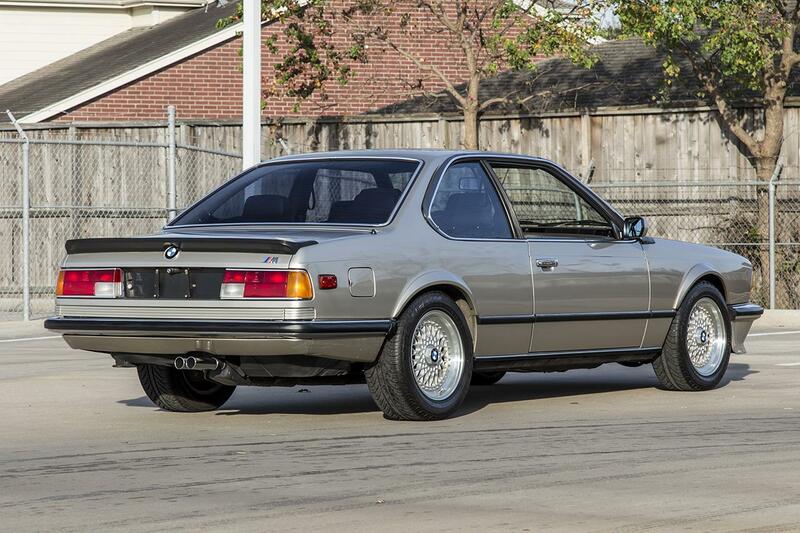 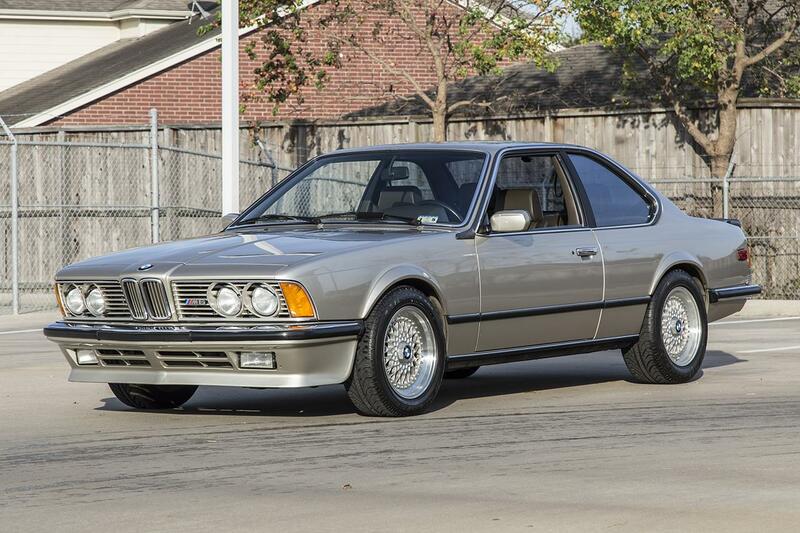 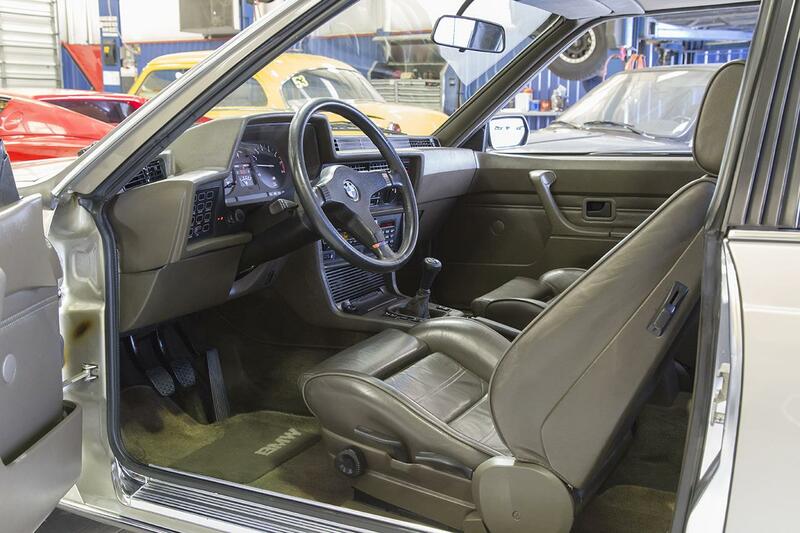 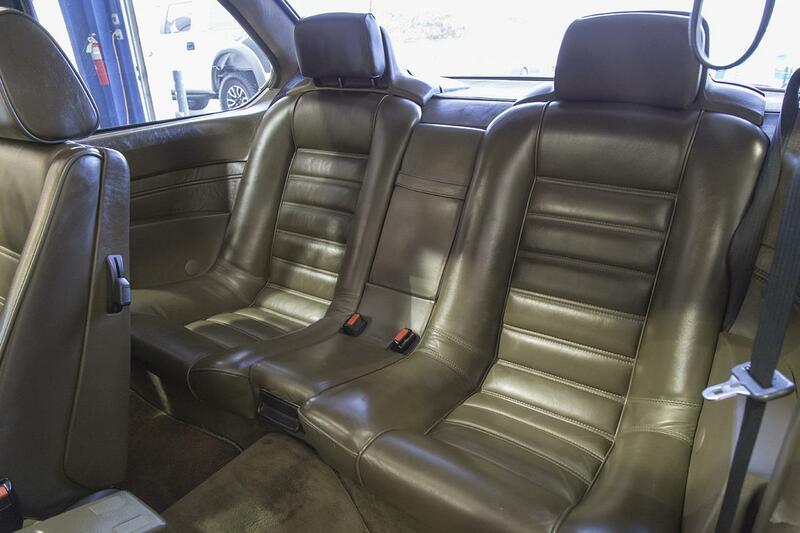 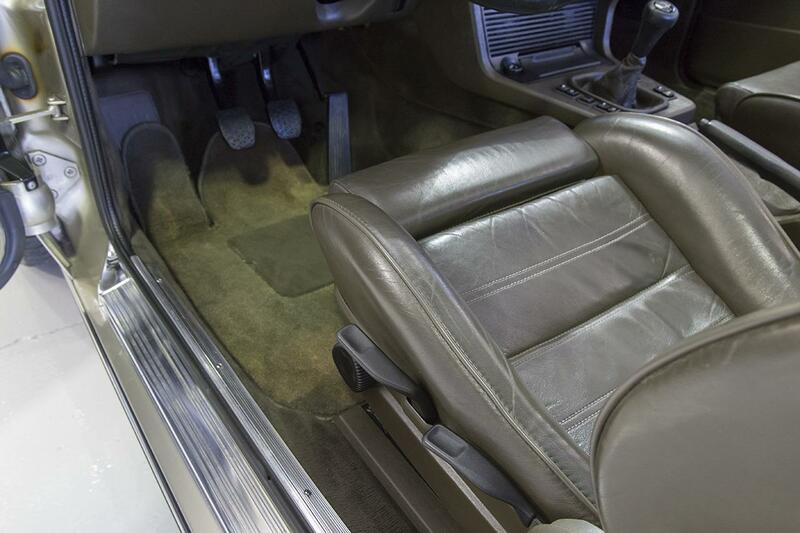 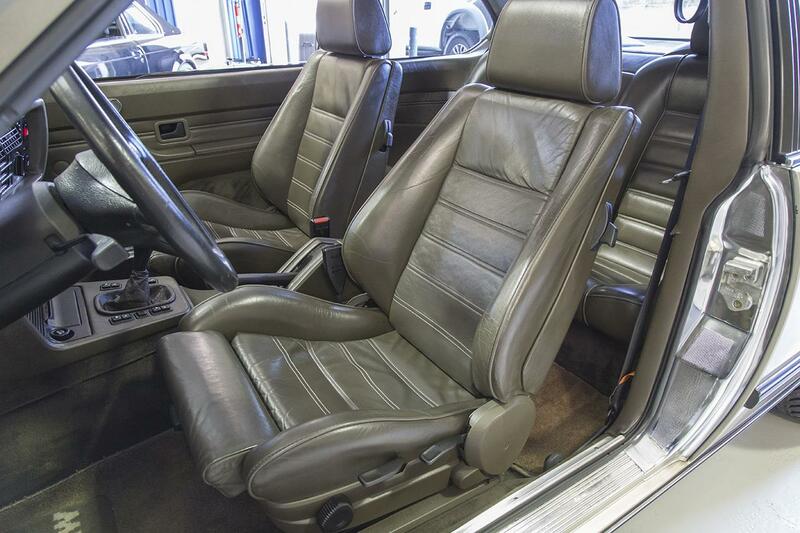 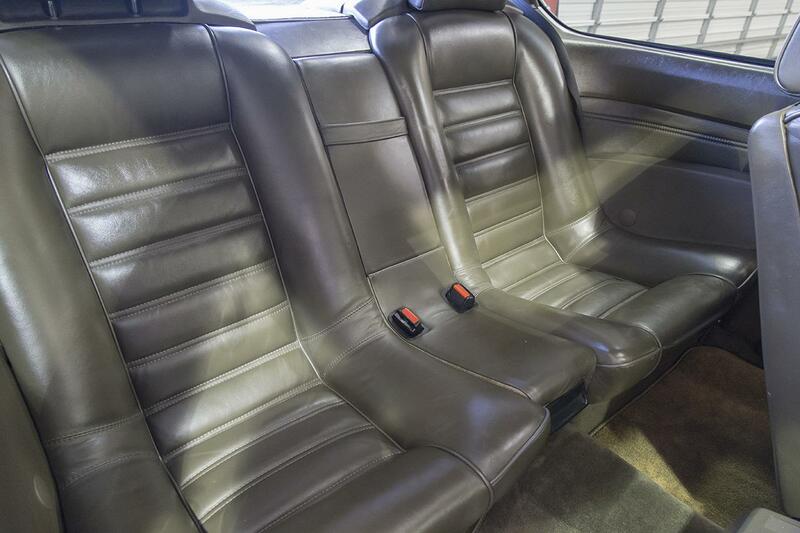 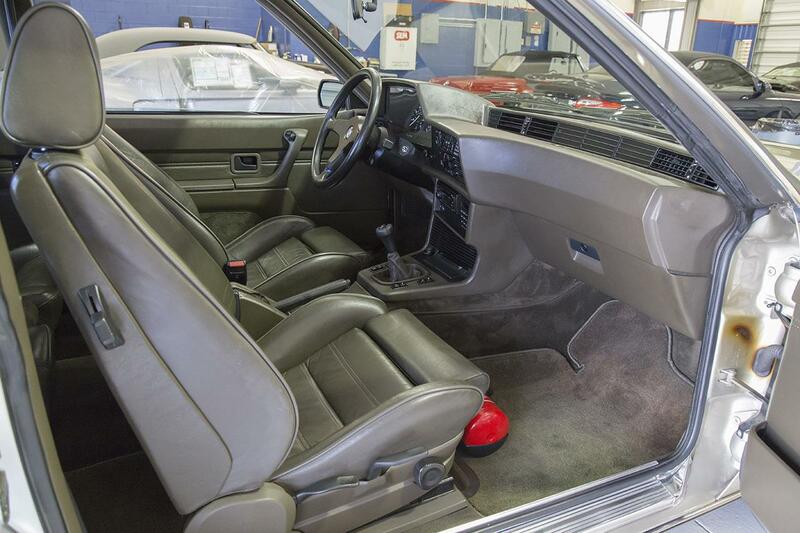 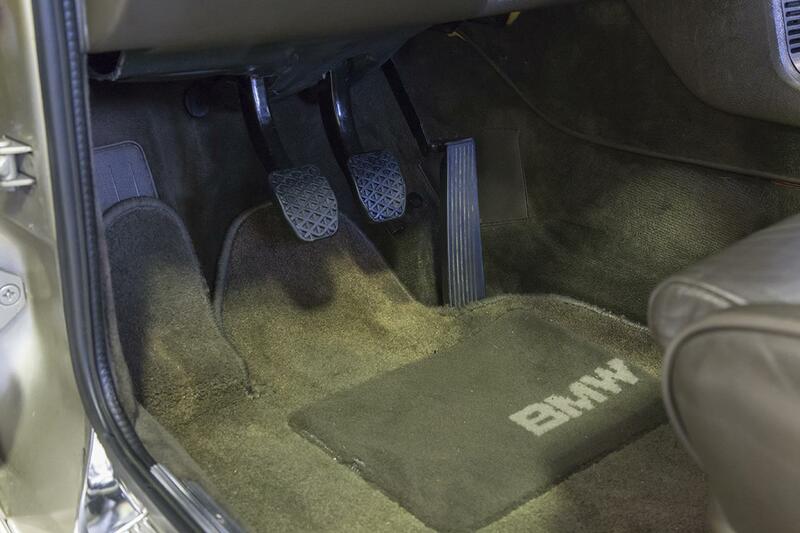 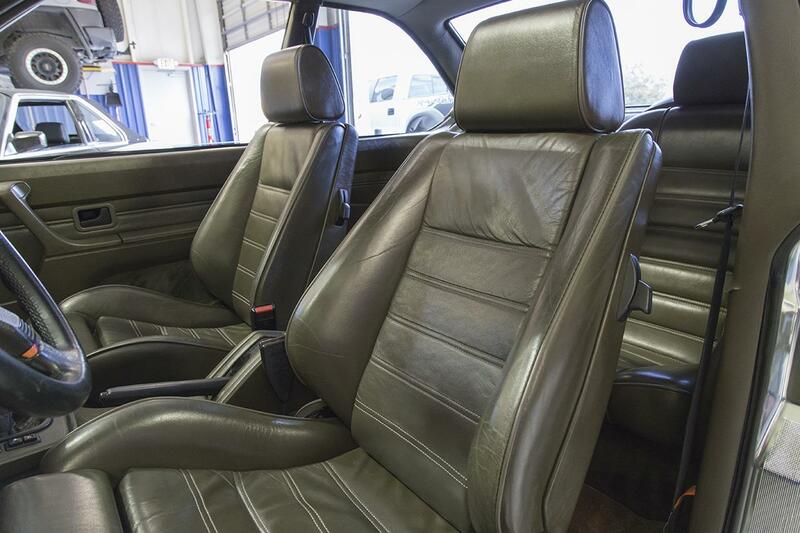 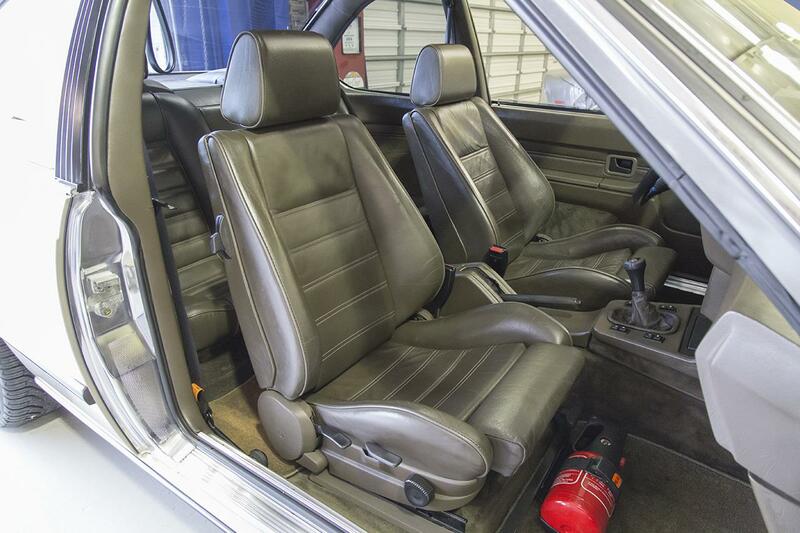 We proudly offer this beautiful, rare, 1-Owner 1984 BMW M635CSi M6 Euro Model in Bronzit Metallic (139) over a Nutria Leather (0157) interior with only 30,569 original miles! 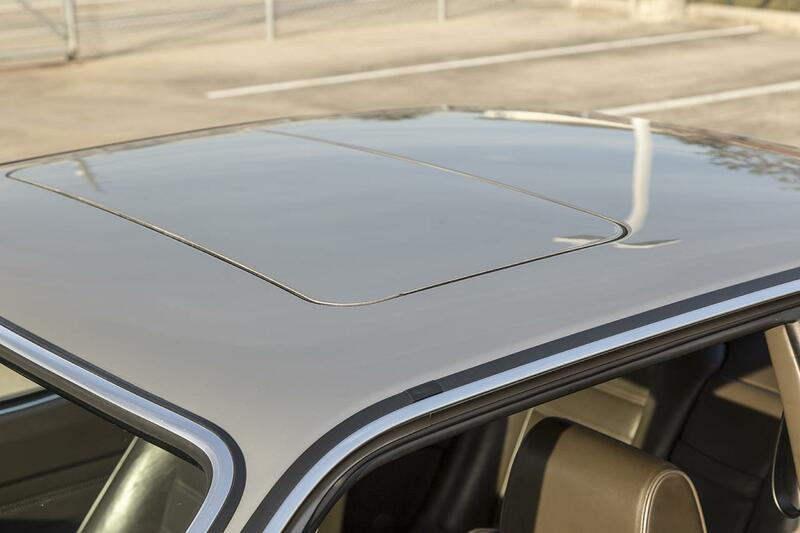 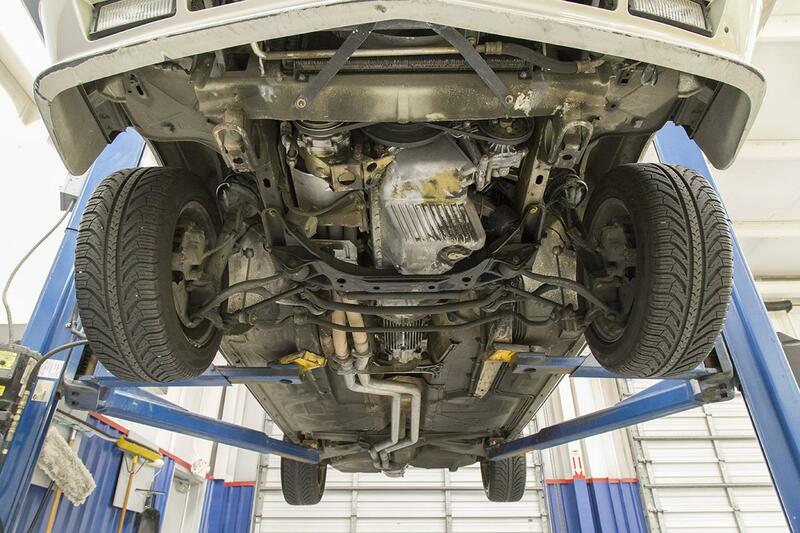 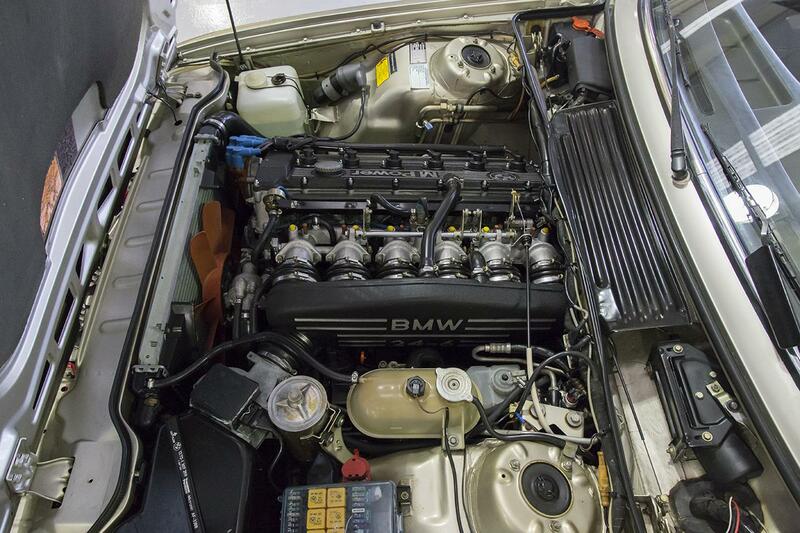 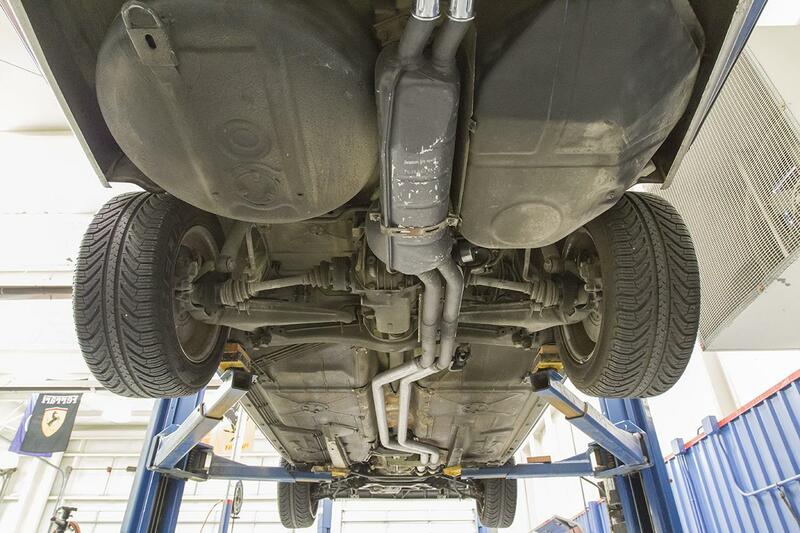 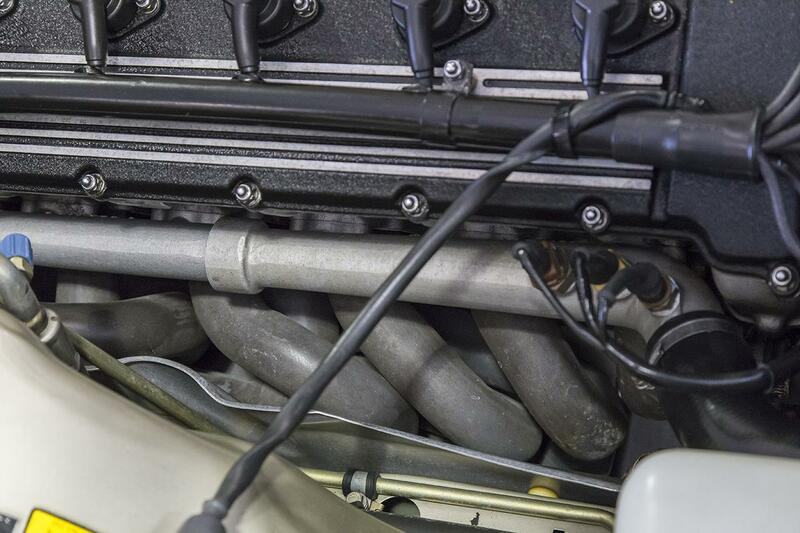 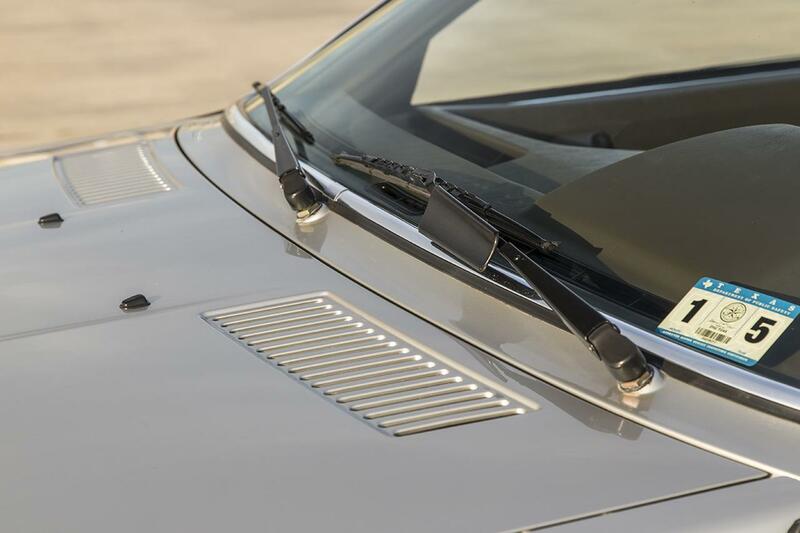 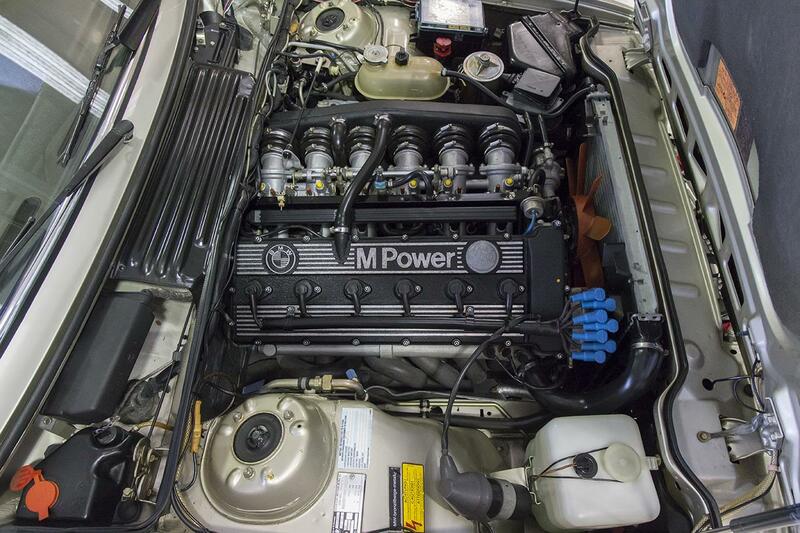 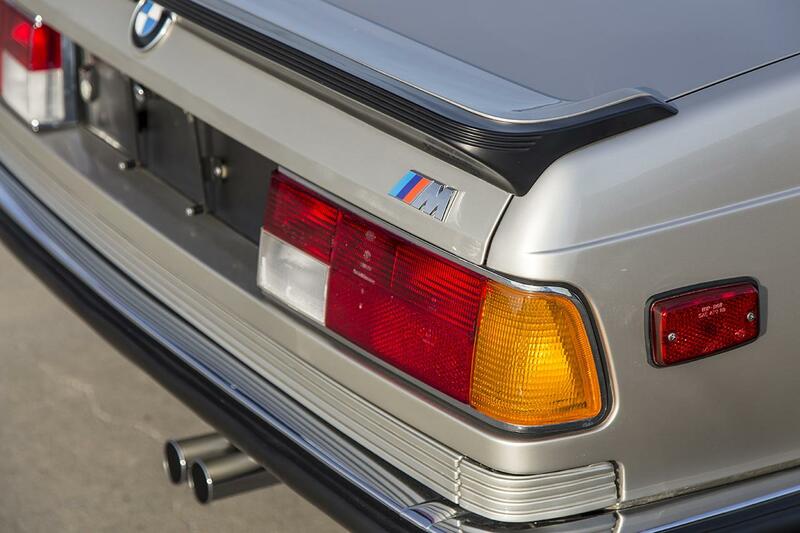 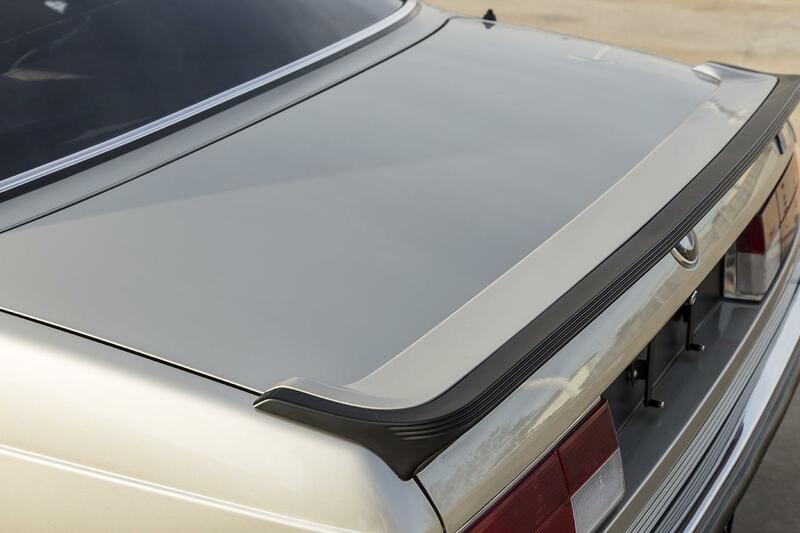 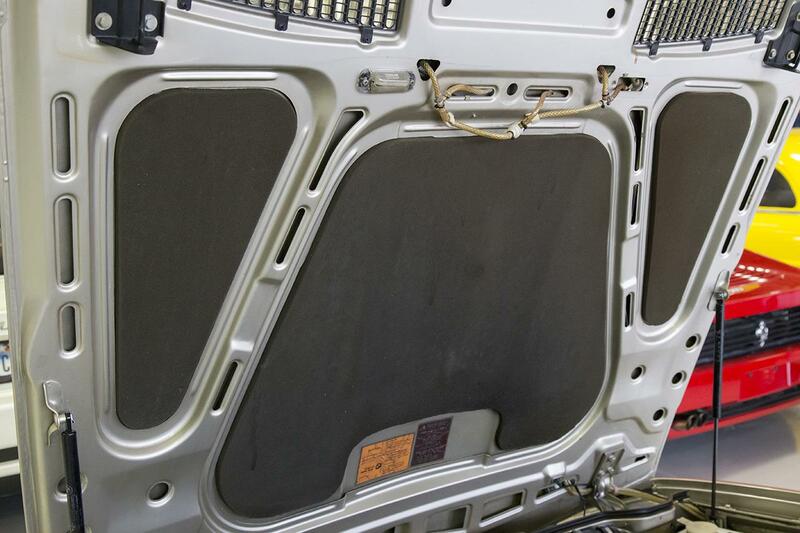 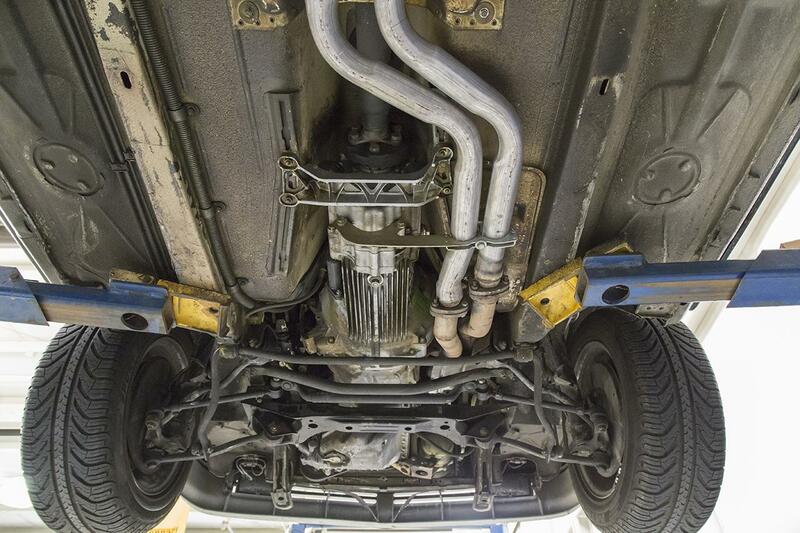 The Eurospec E24 M6 / M635CSi features a cat-less free-flow exhaust including factory headers, slimmer bumpers, aggressive front air dam, and a modified version of the M88/1 motor as found in the iconic M1 supercar. 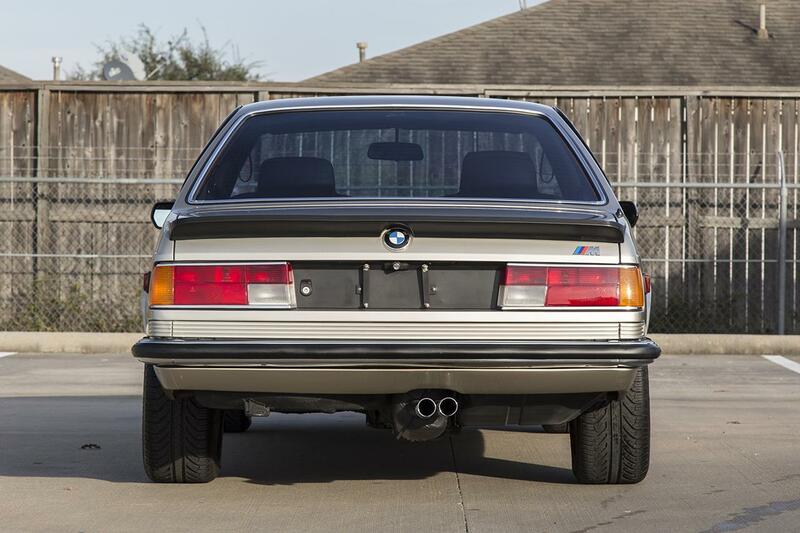 This M6 is powered by a 289hp Inline 6 engine through the rear wheels via a 5-speed manual Getrag gearbox. 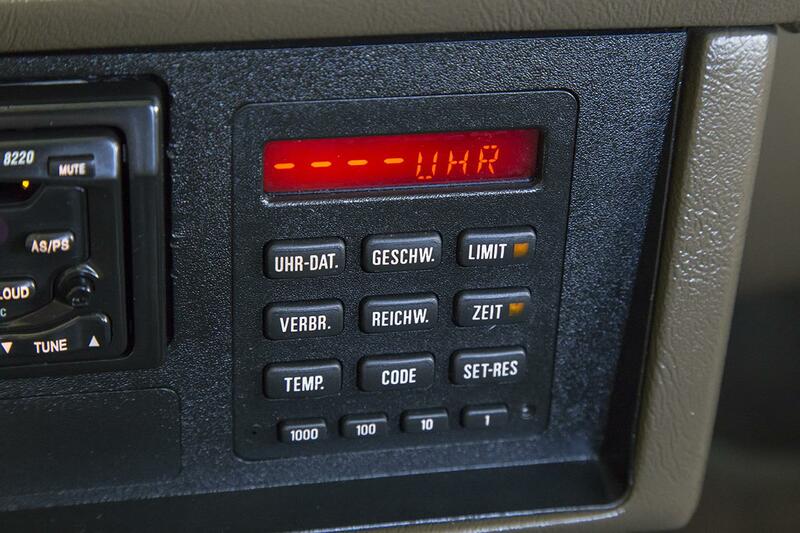 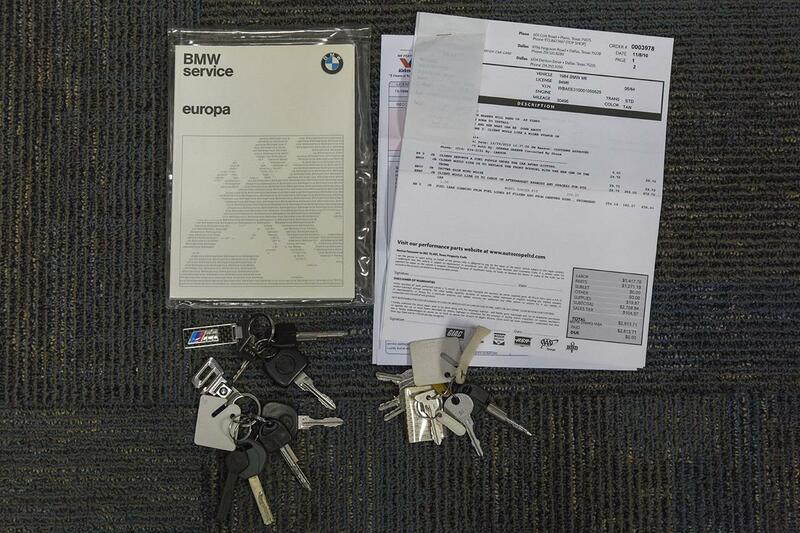 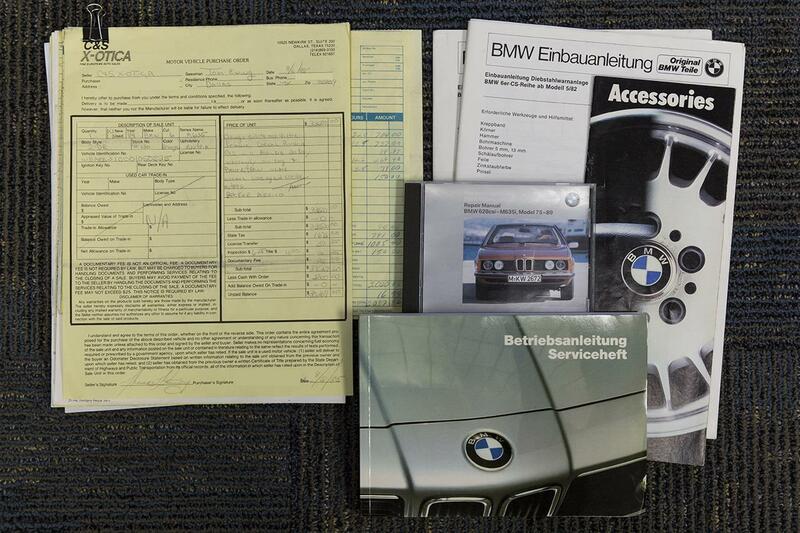 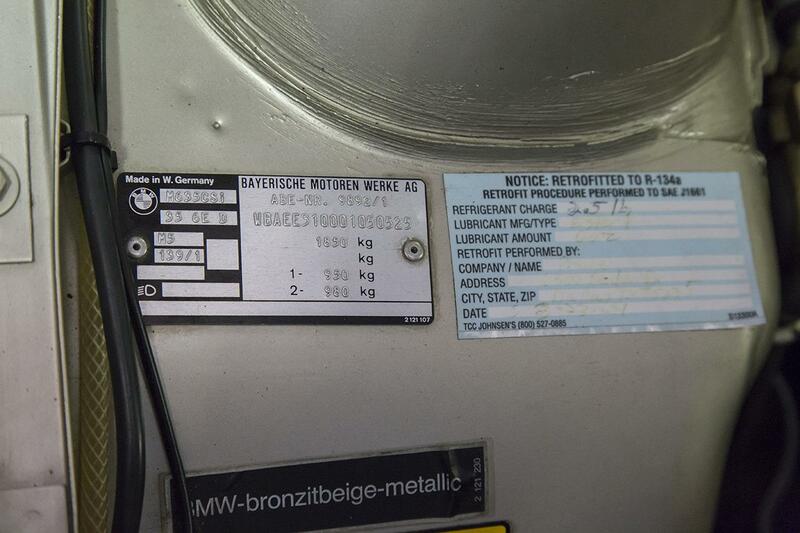 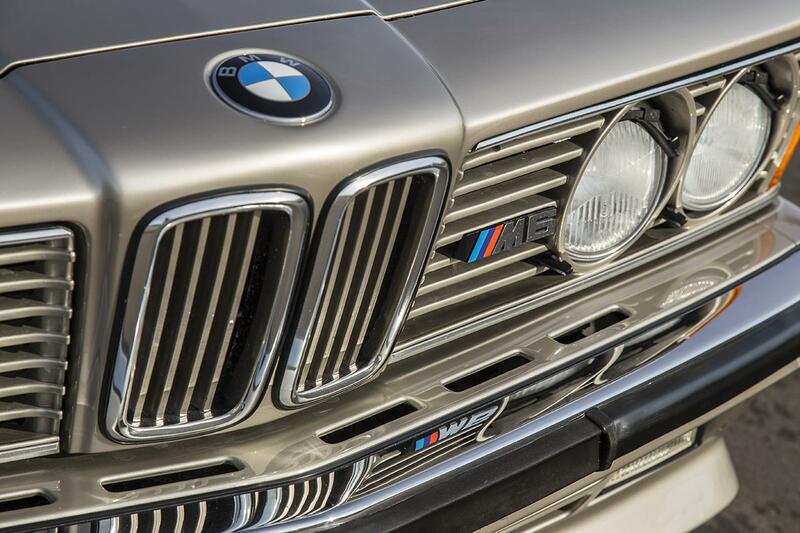 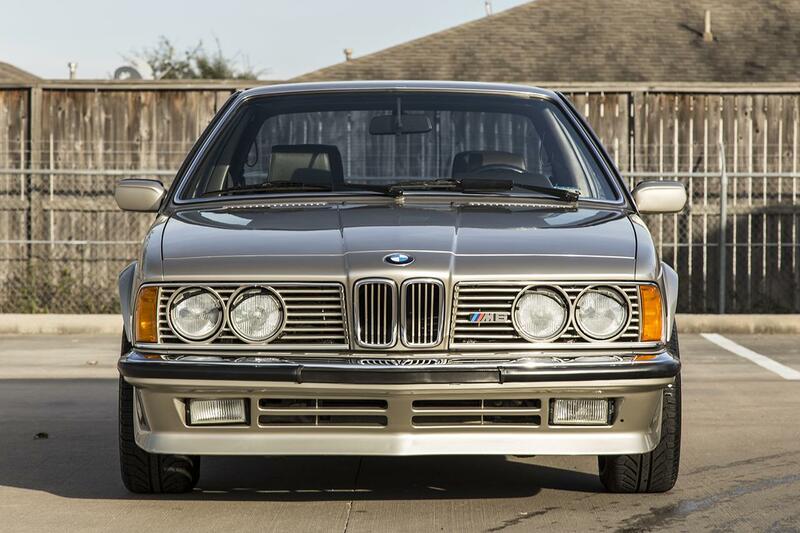 Original equipment on this M6 included headlight washer/wipers, power sunroof, AC (now converted to R134), BMW car alarm, BMW Road Safety/Halon Fire Extinguisher/Toolkit, Recaro front seats, and rear headrests. 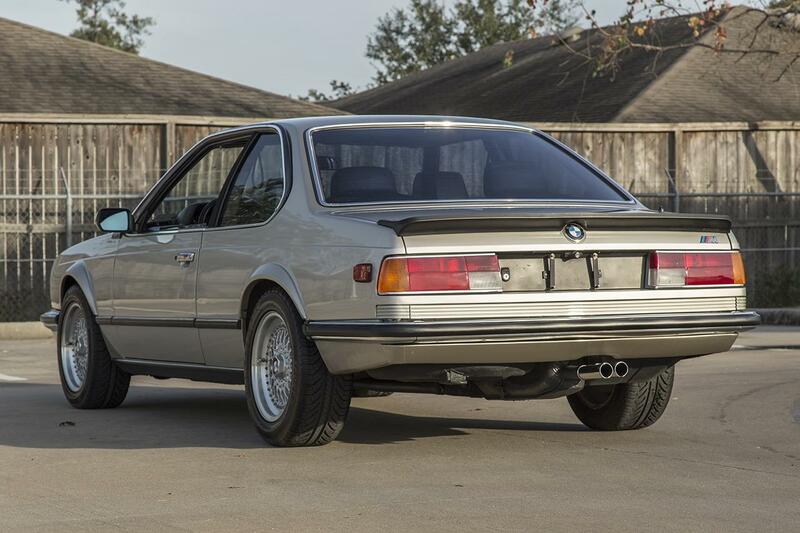 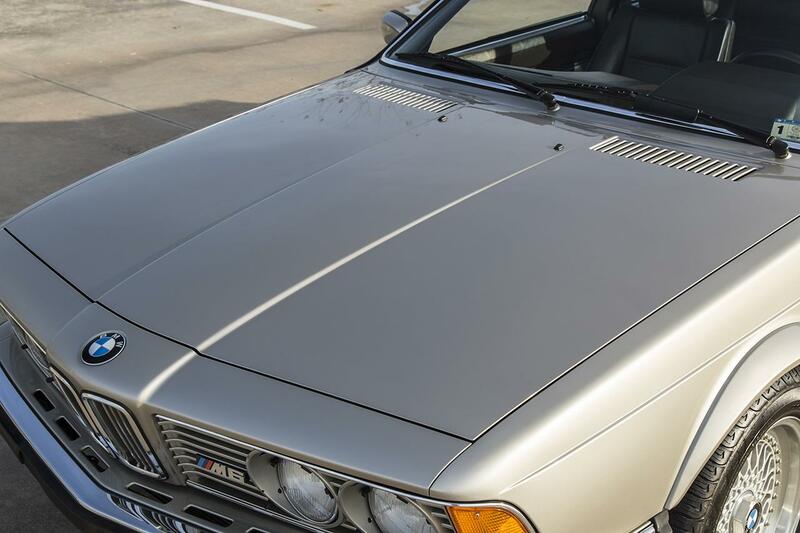 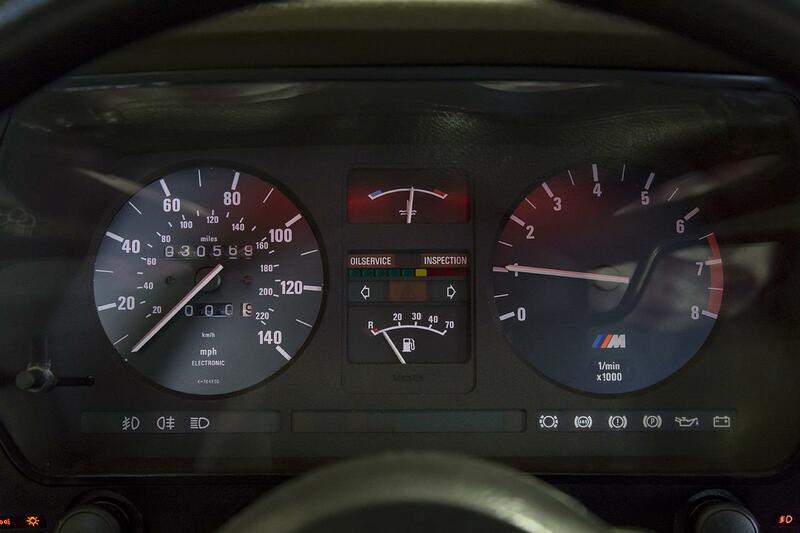 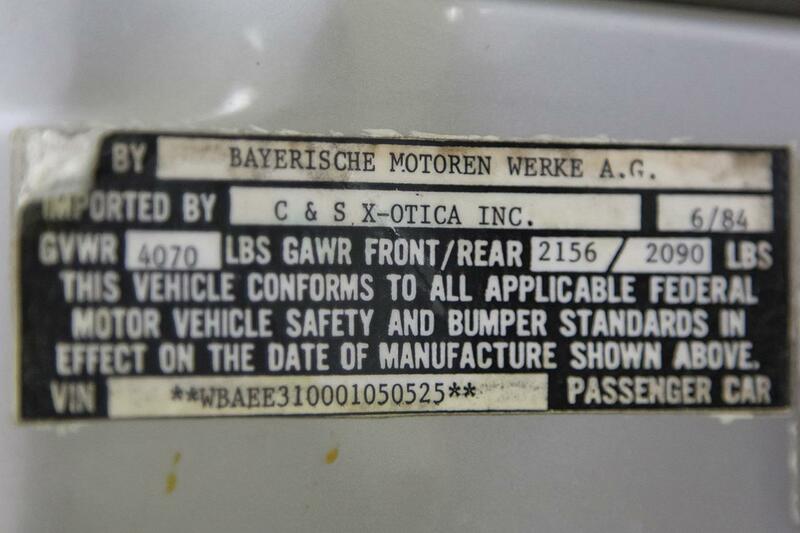 This Euro 1984 BMW M6 was built in September 1984 and imported by our own Gary Seale (then, of C&S X-Otica Inc.) in Dallas, TX. 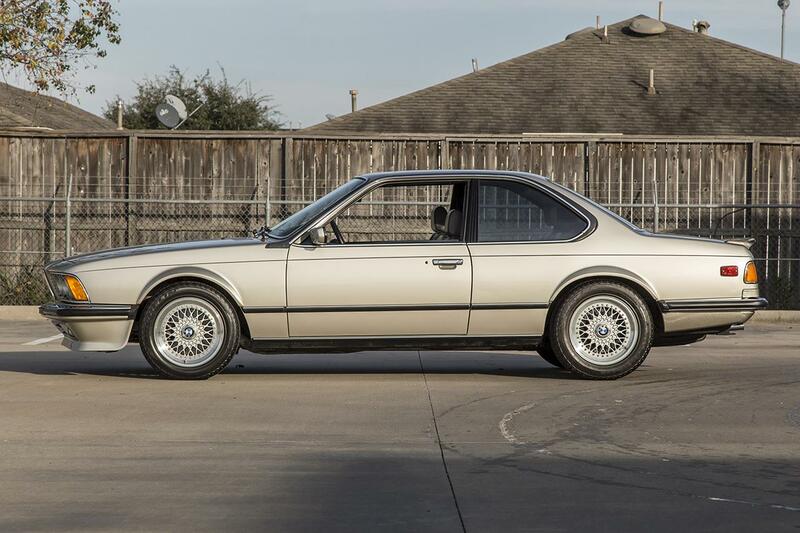 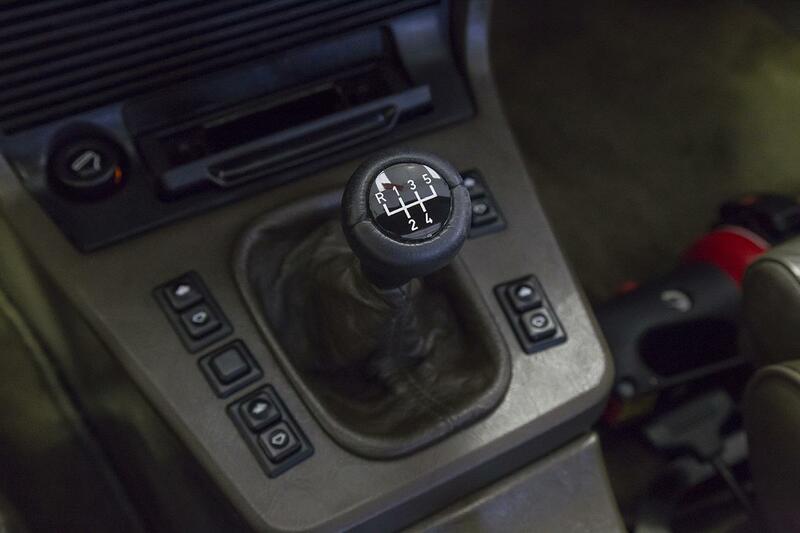 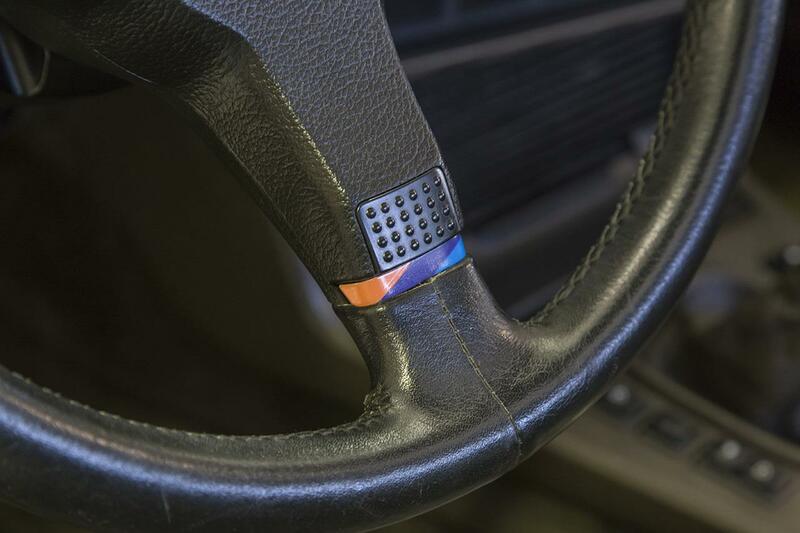 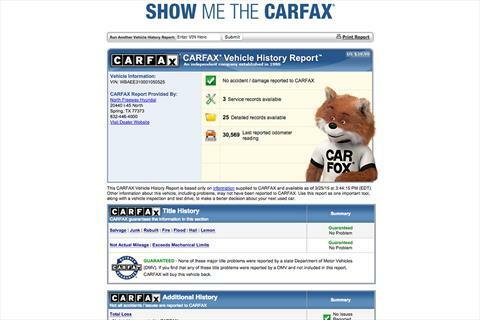 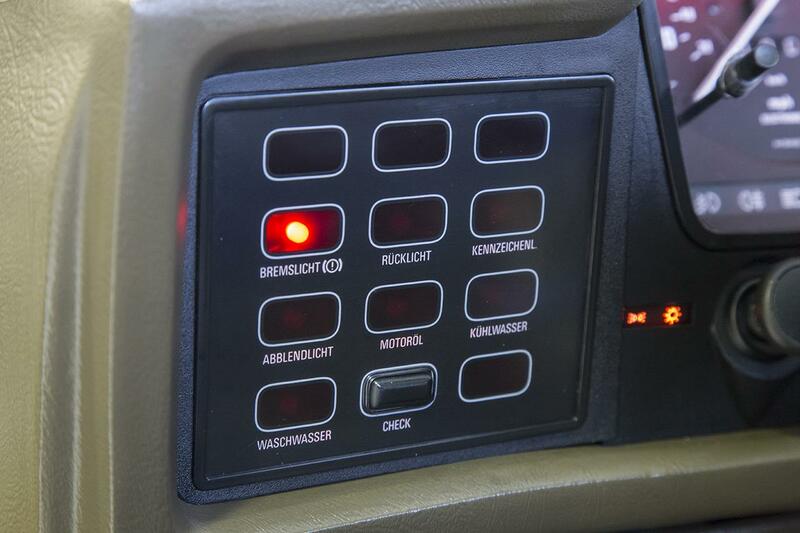 It was then driven for just 2,819 miles as the dealership principal's demo before being sold in June 1985 to it's one and only owner in Dallas. 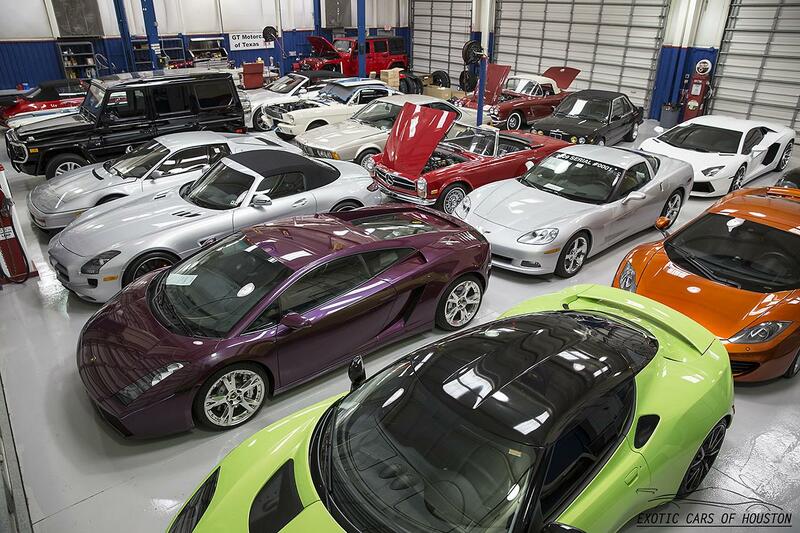 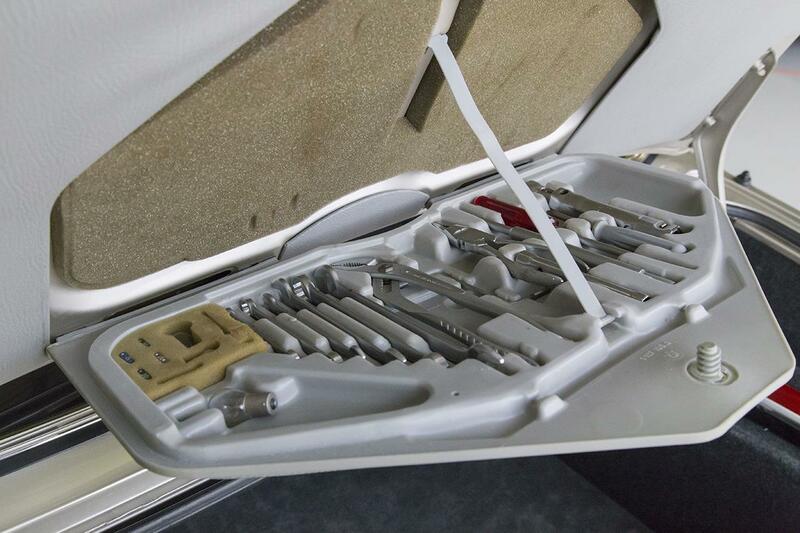 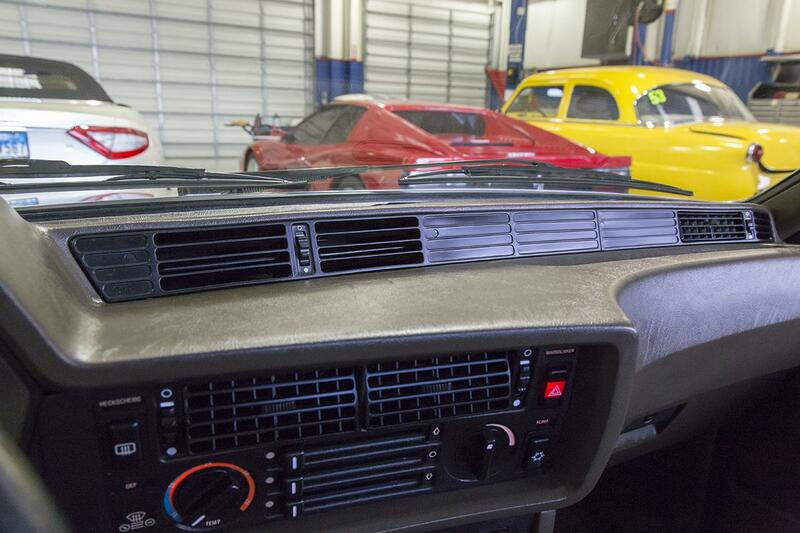 It was always garage kept and meticulously maintained by this owner. 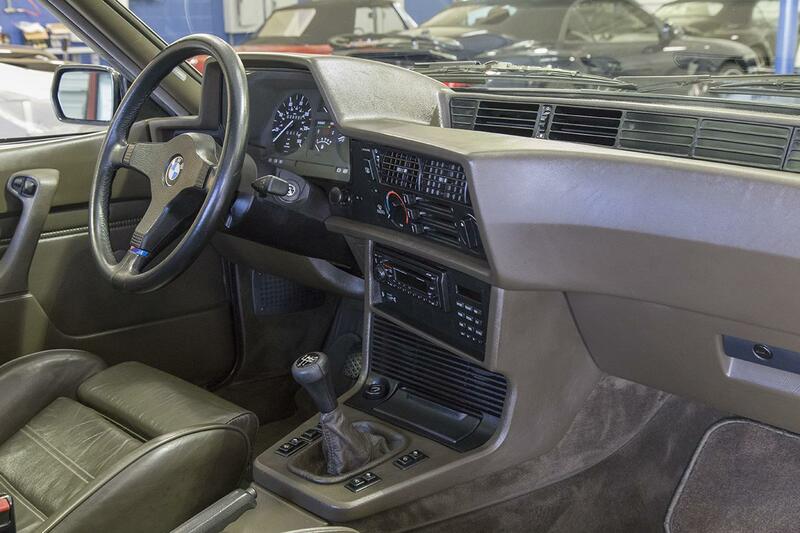 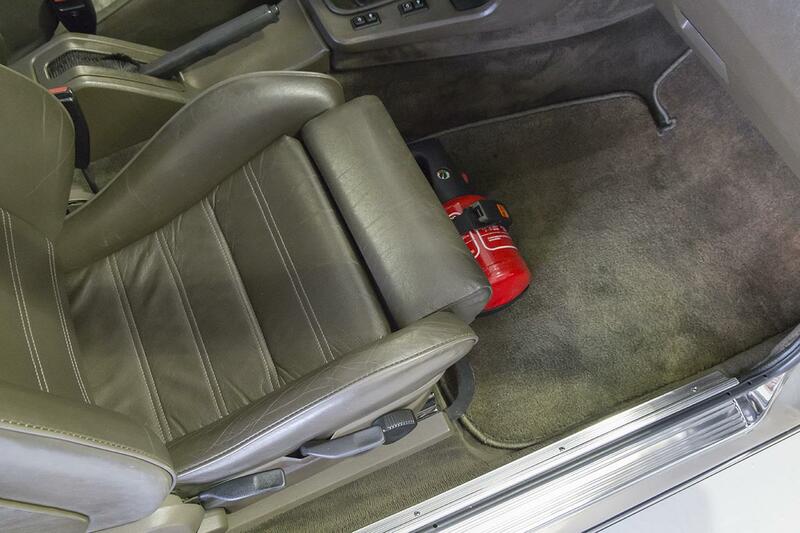 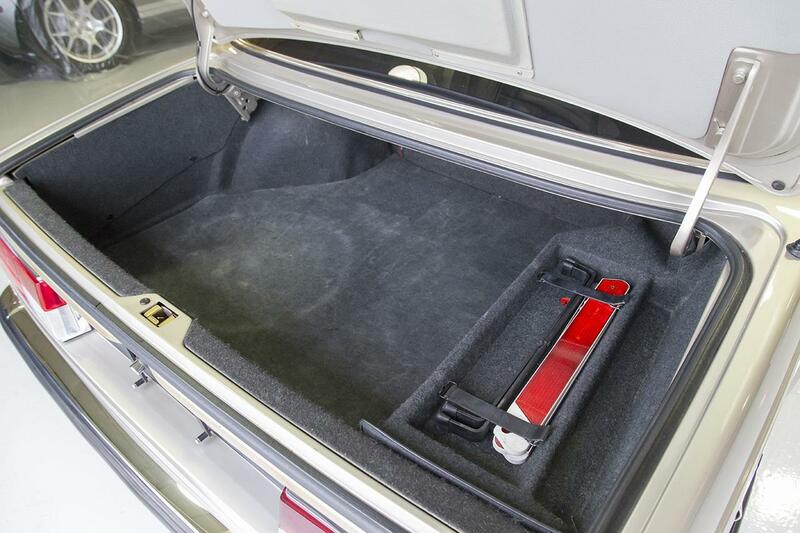 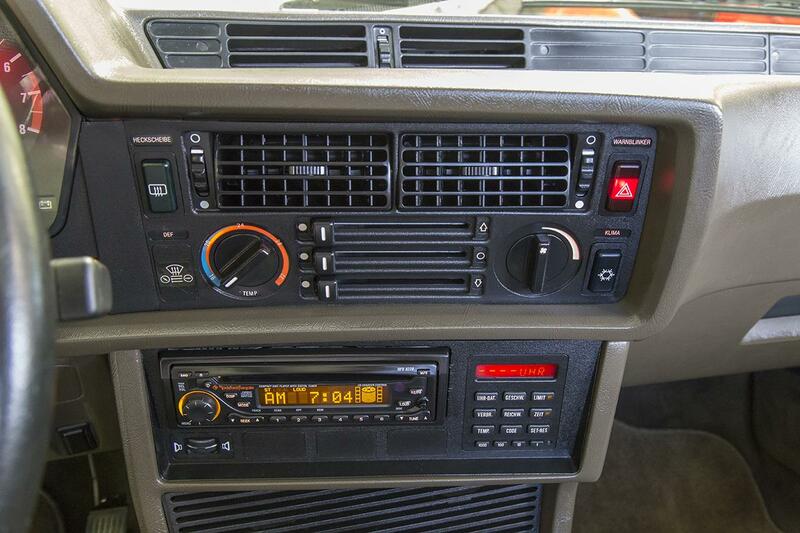 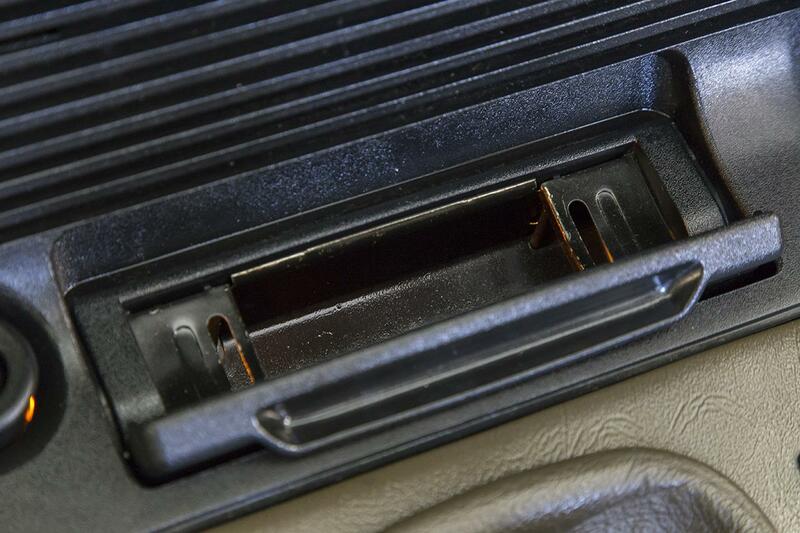 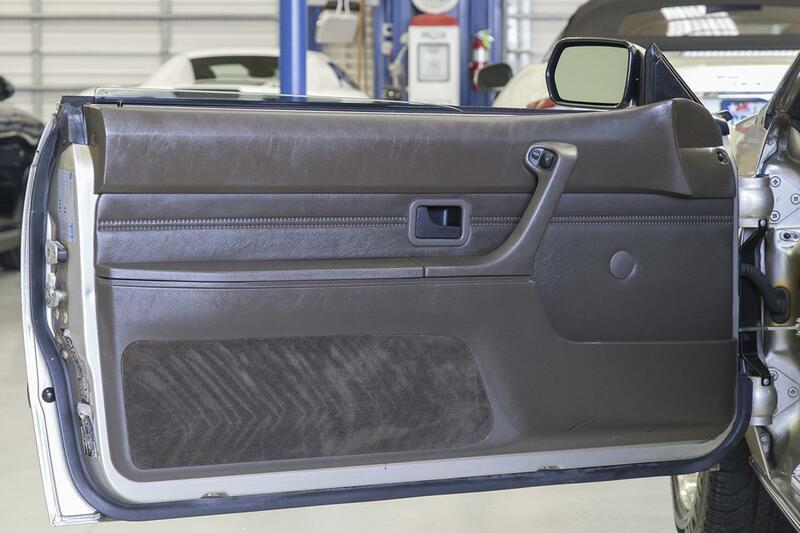 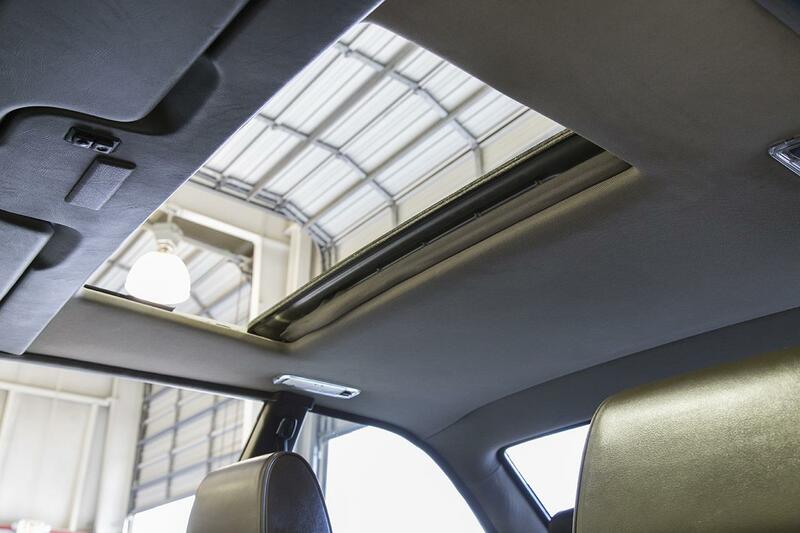 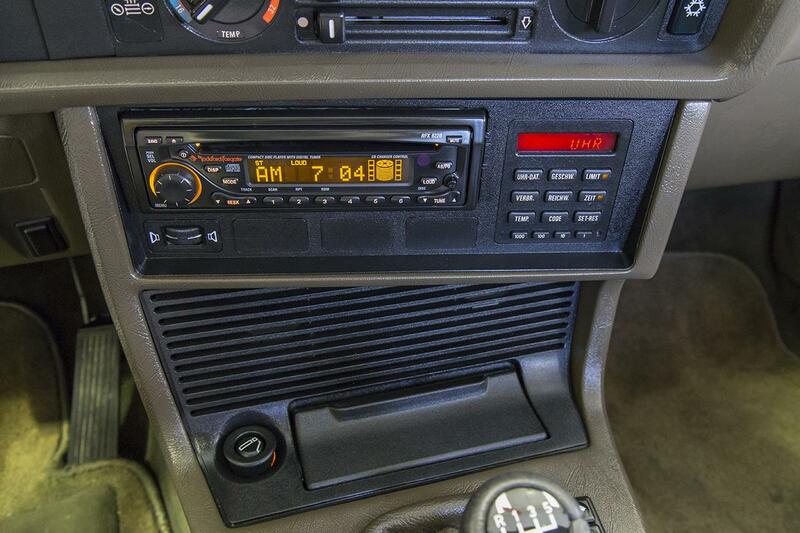 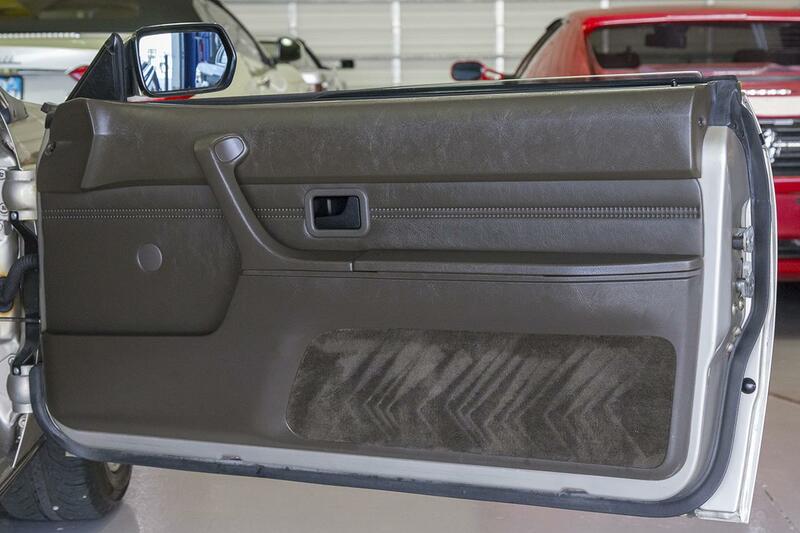 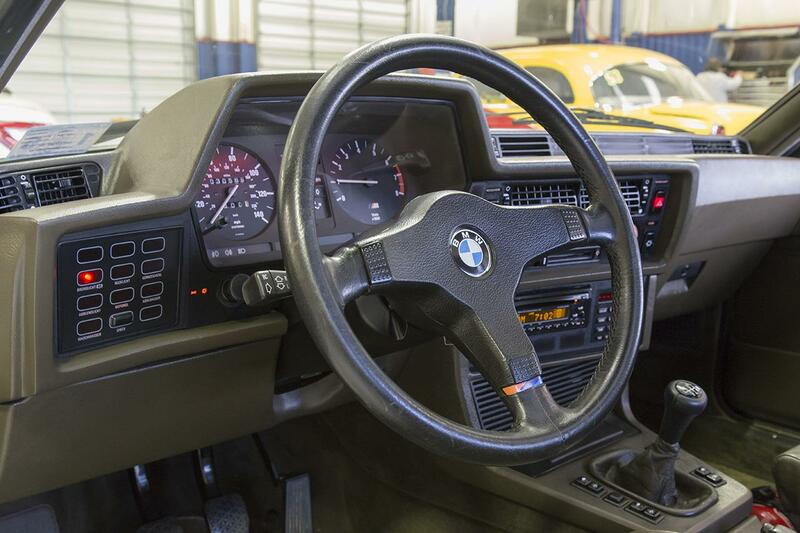 This is evident by the superb exterior finish and incredible, original interior. 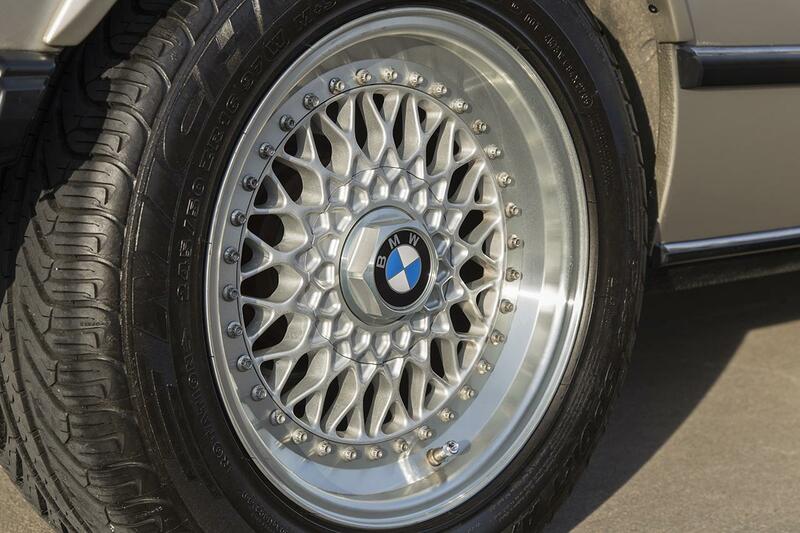 To fit our modern tire sizes a set of updated 17x8/17x9 inch BBS RC035/RC038 modular Cross Spoke alloy wheels were mounted with Michelin Pilot Sport tires. 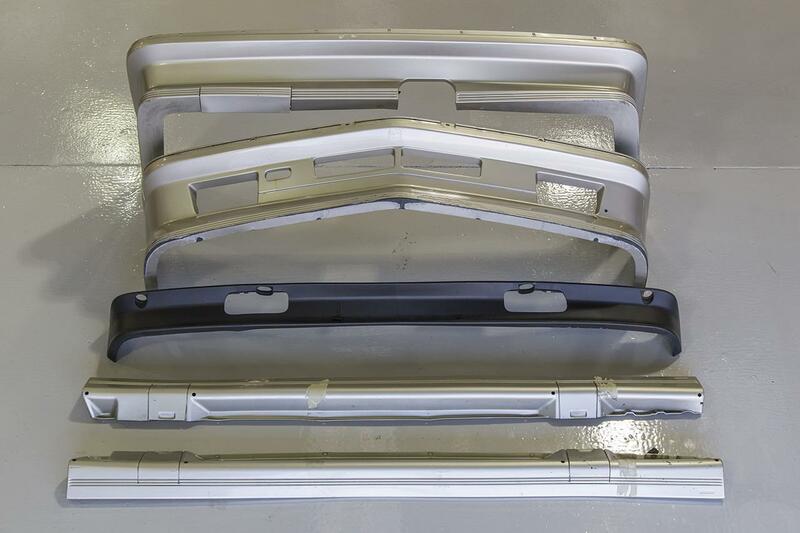 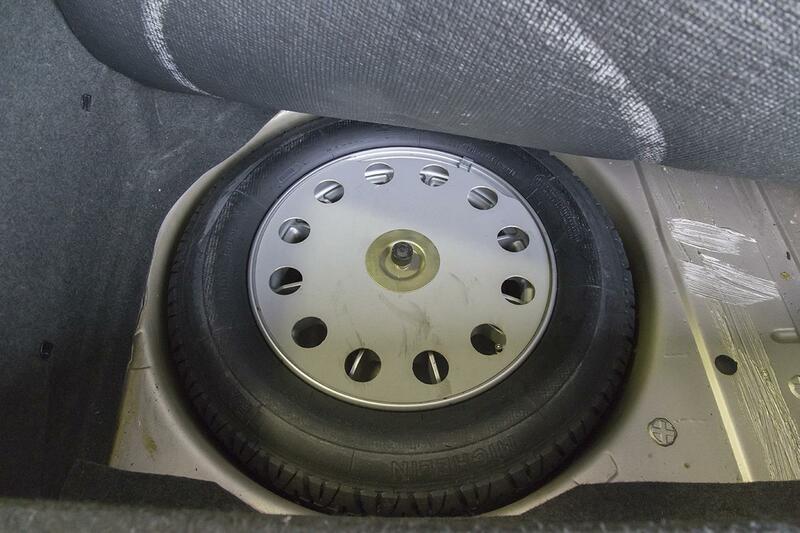 See picture of additional body parts included as well. 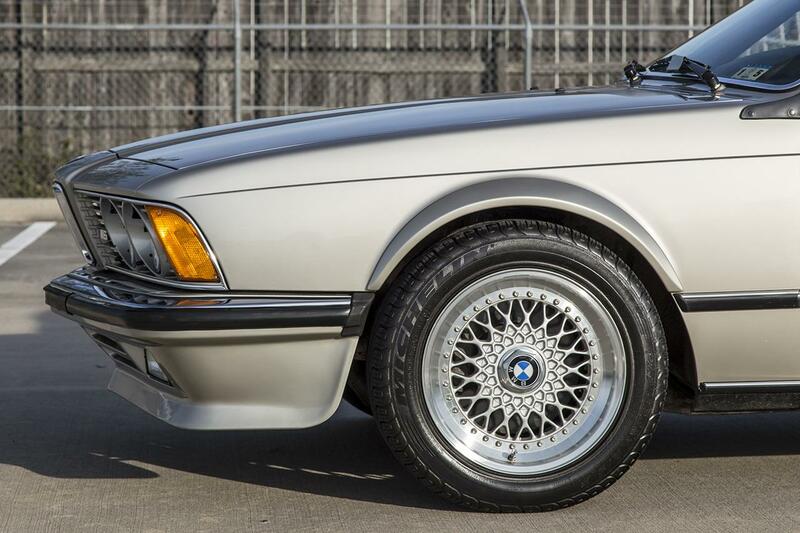 This Euro M6 not only looks killer with its slim euro chrome bumpers rarely seen in the U.S., larger air dam, and aero side skirts, but it runs and sounds just as great! 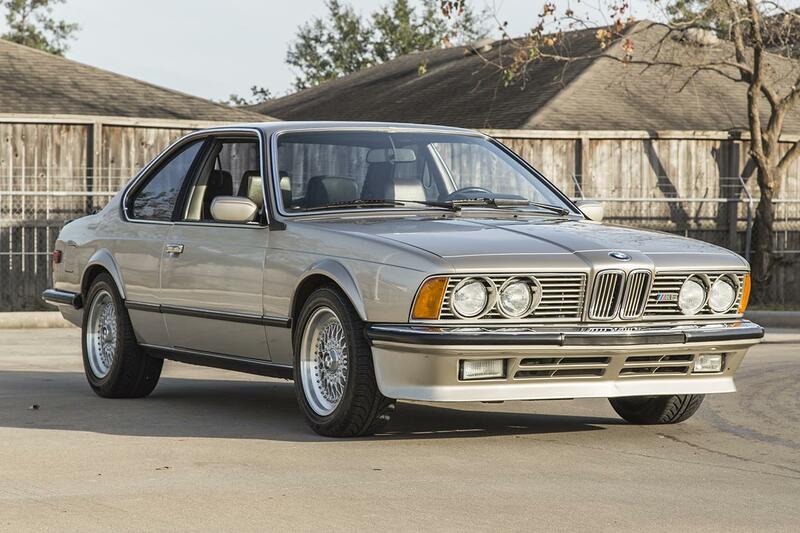 This is a very rare opportunity to own such a unique and beautiful Euro M6 with an amazing story and incredible, single ownership with just 30k original miles! 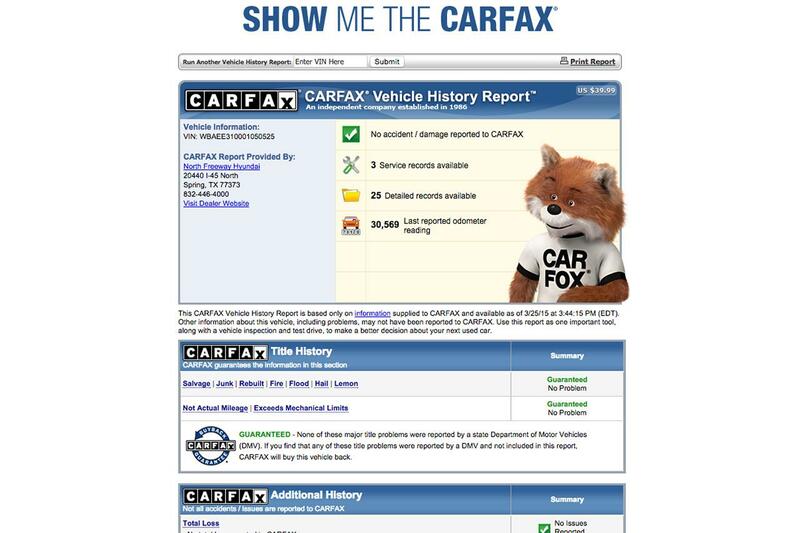 Call us today before it's gone!